I'll put a spell on you! 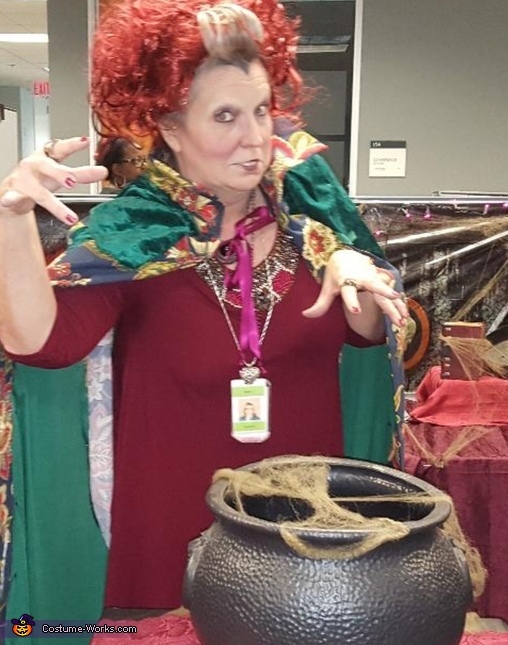 Mary Doherty dressed as Winnefred Sanderson for a Halloween party for work! I found a green dress at Goodwill that was to small and I made the cape by hand sewn! Collar made of cardboard also found long red wig on clearance and styled it! Looked online for make up tutorial! It was a really fun costume!